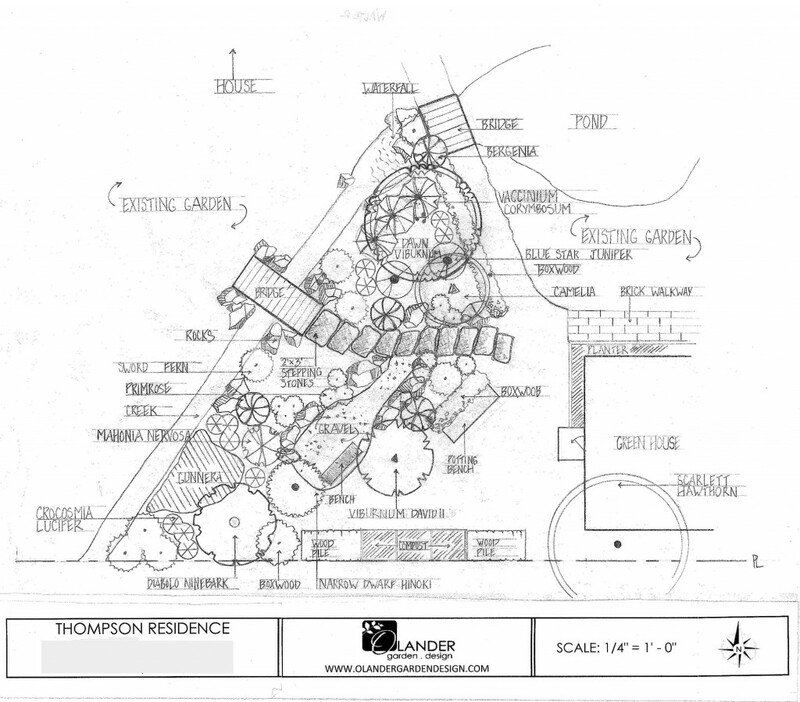 Seeing the evolution of a garden from an overgrown thicket or in this case, a bare patch of soil, to a thriving, verdant and useful space is, for me, the most rewarding aspect of being a landscape designer. 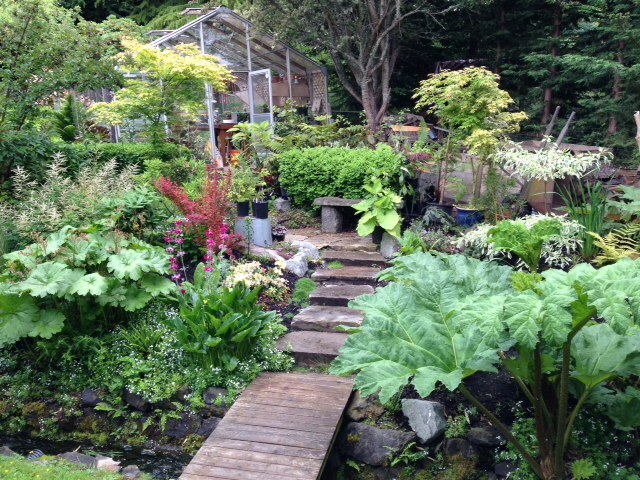 Even better when the client sends you pictures to show you how things are growing in. 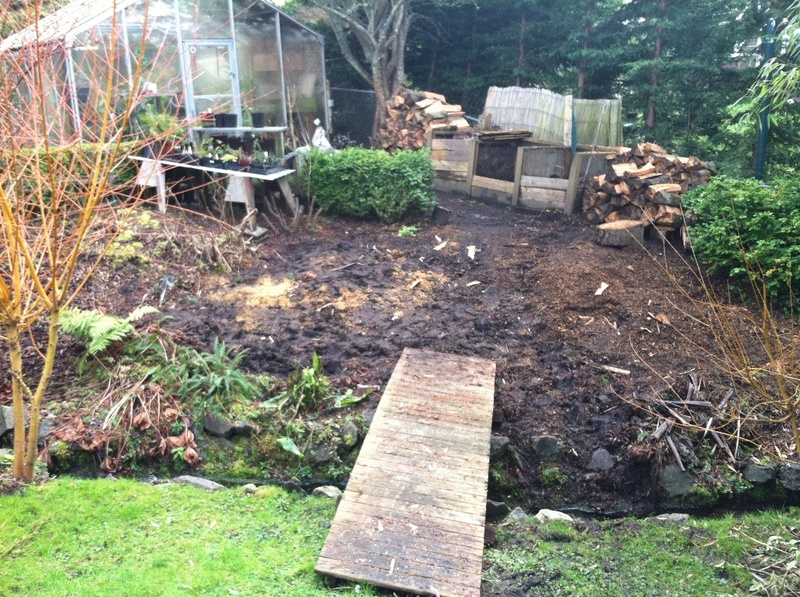 Two years ago this is what we started with – a portion of an Edmonds back yard that was once home to a Douglas fir that had to be removed. In doing so, the plants below were damaged beyond repair and what was left was a muddy slope in need of a make-over. 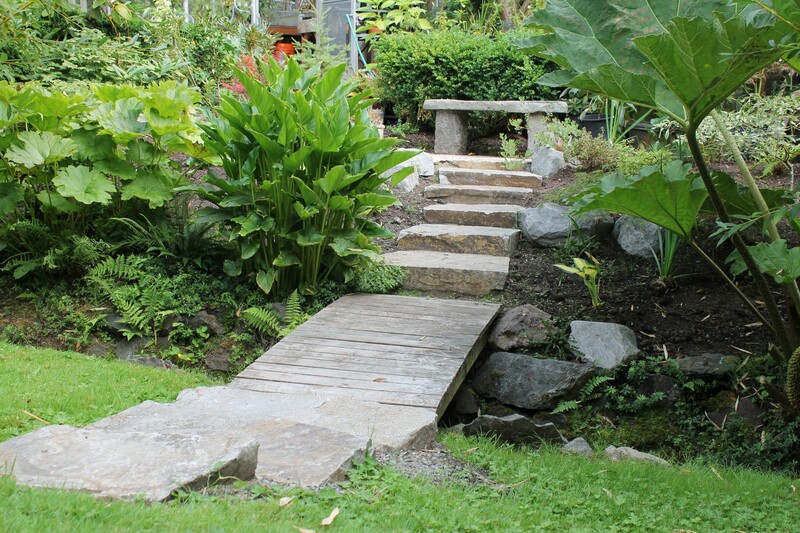 We decided it would be the perfect opportunity to add a set of stone steps leading from one side of the natural creek to a small landing at the top of the slope on the other side. Here’s the space soon after the installation. And here’s the garden now, full of color and life. A lush scene that was once a patch of mud.